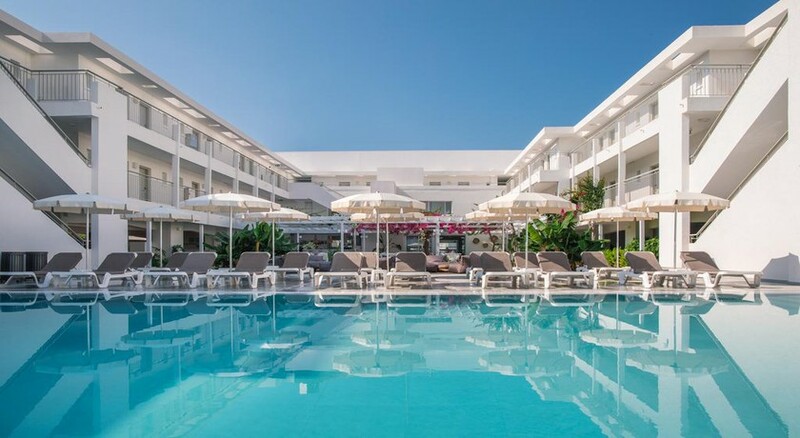 Located just a few miles outside of central Paphos, Cynthiana Beach Hotel is to be found in a relatively quieter part of Paphos yet affords guests easy access to the highlights of central Paphos. Rooms and suites at Cynthiana Beach Hotel are beautifully designed and decorated with many delivering amazing views over the Mediterranean. The restaurants are a highlight here offering a dining experience with exceptional food and themed nights, yet at the same time, you’ll also a great selection of places to eat out without having to venture too far. Just five miles away in central Paphos, visitors here are able to soak in Paphos rich history by visiting architecturally beautiful and meaningful sites as well as providing great retail shopping and conveniences for your Cyprus holiday. With a beautiful location along Paphos’s coast, Cynthiana Beach is just 24km from Paphos International Airport. It has a beachfront location, making getting down to the beach a doddle. Restaurants and bars are in abundance nearby Cynthiana Beach with several a short walk away whilst most others will require a taxi journey of a few miles into central Paphos. Reaching attractions will require a taxi journey but Cynthiana Beach Hotel will be more than glad to help you organise transportation. Central Paphos with its museums, waterparks and ancient sites is located roughly 15-minutes from the hotel. Choose from a selection of finely furnished and fitted rooms, beautifully decorated and making for an enjoyable stay. 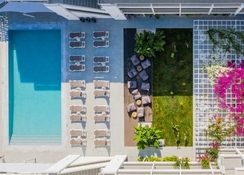 Most rooms come with spectacular views including the sea or garden as well as all the essentials you’d expect from a top-rate hotel such as wi-fi, air-conditioning, safe deposit box, private bathroom and much more. Standard rooms have two single beds whilst family rooms are more spacious and can sleep up to four people. For an extra slice of luxury, you can choose to stay in a Superior or Executive Suite, which include a living area, dining table and two separate bedrooms. The restaurants at Cynthiana Beach Hotel are made to be a pleasure to dine in with stylish decoration and appointment as well as serving fine food. 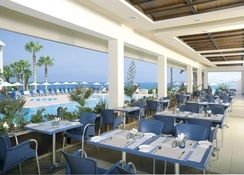 The main restaurant, Artemis, features themed food nights, including Chinese, Italian and carvery with a terrace also available that provides breathtaking views over the Mediterranean Sea. 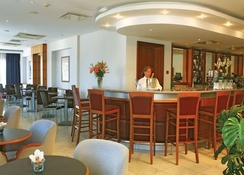 There are several bars on-site all offering a fine selection of alcoholic and non-alcoholic beverages. The beach bar is a highlight as it sits right on the edge of the sea, you couldn’t get any closer! Outside of Cynthiana Beach Hotel, try the Tsiakkas Beach Tavern where you can enjoy authentic Mediterranean food whilst overlooking the sea. The Cynthiana Beach Hotel affords its guests a great selection of ways to enjoy your holiday. Its stunning location right along the edge of the Mediterranean makes it ideal for taking advantage of water sports such as snorkelling and scuba diving. You can also stay active on the tennis court or at the gym among other activities. Recommended is a day trip to the Adonis baths with its beautiful bathing pools and scenic waterfall or take the five-mile taxi trip into the heart of Paphos for museums, Roman mosaics, Tombs of the Kings and incredible 12th Century Saint Neofytos Monastery.